Invited to work with this congregation of 150-200 members on transitioning from a pastoral-sized church to a program-sized church following the sudden departure in early 2013 of its newly settled minister. Having only recently (2010-2012) been through the interim-ministry process, this church was ready for a new kind of ministry being described as "developmental." Helped reinvigorate this small mid-sized congregation, following the resignation of its 21-year minister. Concentrated on governance, staff relations, membership, stewardship, congregational care, and revitalization of worship. Consulted regularly with the Board and Ministerial Search Committee. Helped this pastoral-sized congregation rekindle the dream that had led it to leave its idyllic rural location and move into the city of Danbury. Concentrated on governance structure (including an overhaul of the by-laws), the pastoral-to-program size transition, membership practices, stewardship, staff relations, and immigrant justice. Provided ministerial leadership and support to a Church School of over 200 children and youth, while being involved in most other aspects of the church's ministry: preaching, adult RE, pastoral care, community outreach, and denominational affairs. Served as solo pastor to this 140-member church, with its vital ministry to those out of synch with Utah's dominant culture, especially the GLBT community. Helped the congregation work through unresolved grief over the departure of its previous ministers. Served as solo pastor to this 140-member church situated in "greater Hollywood." Helped the congregation regain a sense of peace and forward motion following the forced resignation of the previous settled minister. Primary portfolio was religious education for all ages; helped grow the RE program from 60 to 160. Was involved in all aspects of ministry, including preaching and worship, rites of passage, pastoral care, stewardship, and organizational dynamics. Was the "after-pastor" following the resignation of the previous associate; learned first hand the congregational dynamics that follow clergy sexual abuse. Served as Acting Senior Minister during Senior Minister's 8-month sabbatical. UU Legal Ministry, Boston, MA. Interim Director (Part Time), 1984-1985. Unitarian Church of Los Angeles CA. 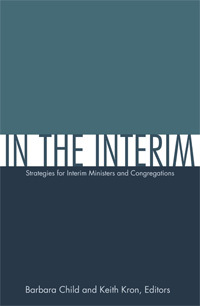 Ministerial Intern, 1983-1984. King's Chapel, Boston, MA. Seminarian, 1980-1983. Renewal House (Women's Shelter), Boston, MA. Field Education Student, 1980-1981. Lawyer in Private Practice, Boston, MA, 1975-1981. Volunteer Lawyer, Boston Legal Assistance Project, South Boston, MA, 1973-1975. Doctor of Ministry, Episcopal Divinity School, 2006. Master of Divinity, Harvard Divinity School, 1985. Juris Doctor, Boston University School of Law, 1973. Bachelor of Arts, University of Michigan, Ann Arbor, 1968.